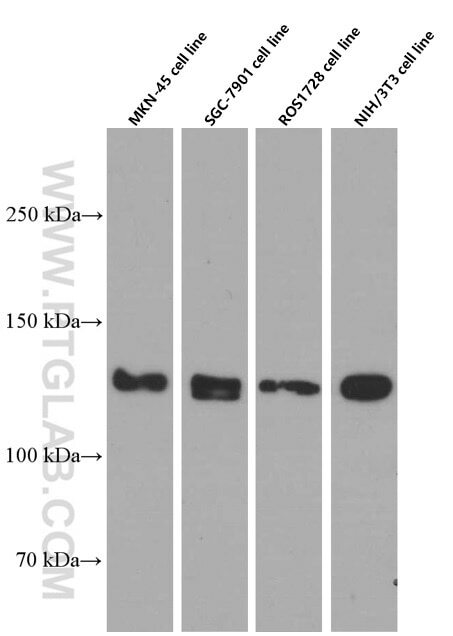 Untreated and PNGase F-treated lysates of PC-3 cells were subjected to SDS PAGE followed by western blot with 66219-1-Ig (N-cadherin antibody) at dilution of 1:5000 incubated at room temperature for 1.5 hours. 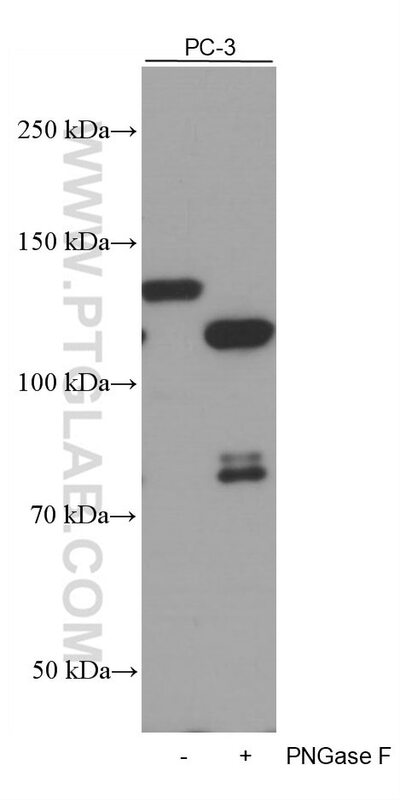 PNGase F was obtained from Atagenix (cat.NO. ata808). 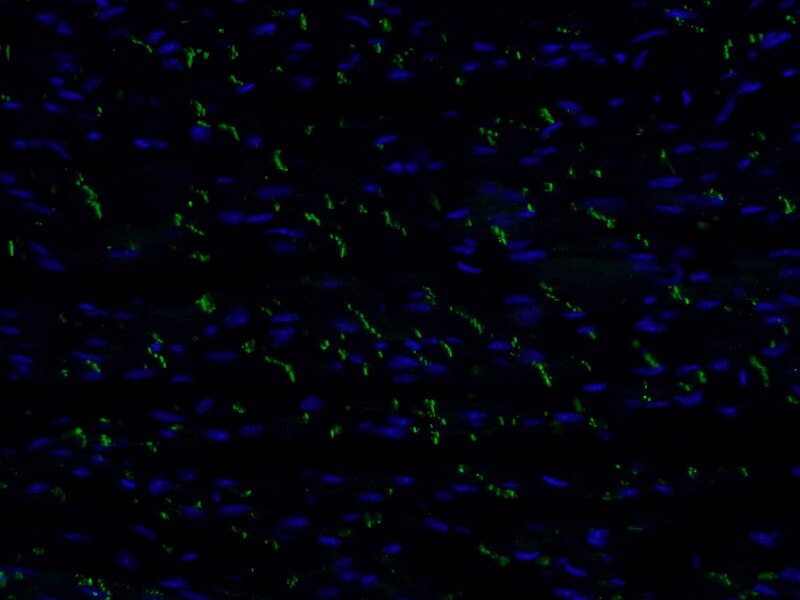 Immunohistochemical analysis of paraffin-embedded human heart tissue slide using 66219-1-Ig (N-cadherin antibody) at dilution of 1:200 (under 10x lens). 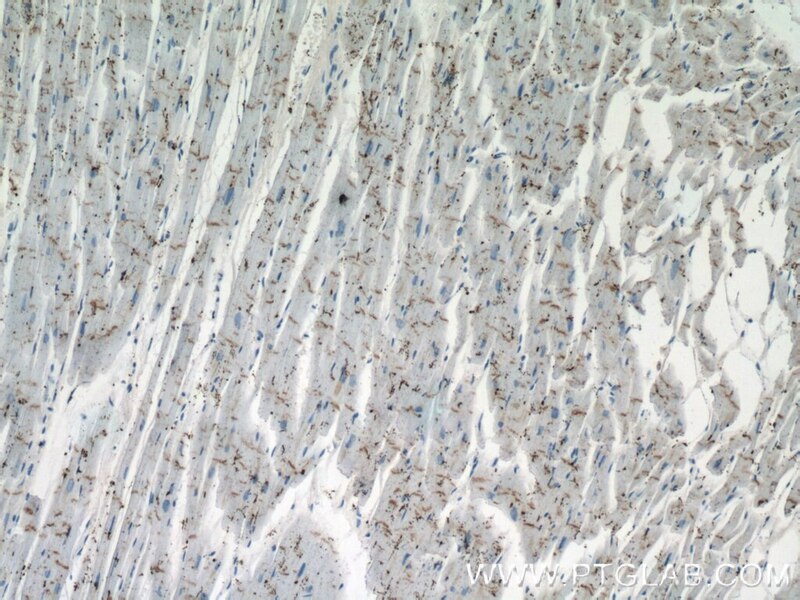 Immunohistochemical analysis of paraffin-embedded human heart tissue slide using 66219-1-Ig (N-cadherin antibody) at dilution of 1:200 (under 40x lens). Cadherins are a family of transmembrane glycoproteins that mediate calcium-dependent cell-cell adhesion and play an important role in the maintenance of normal tissue architecture. 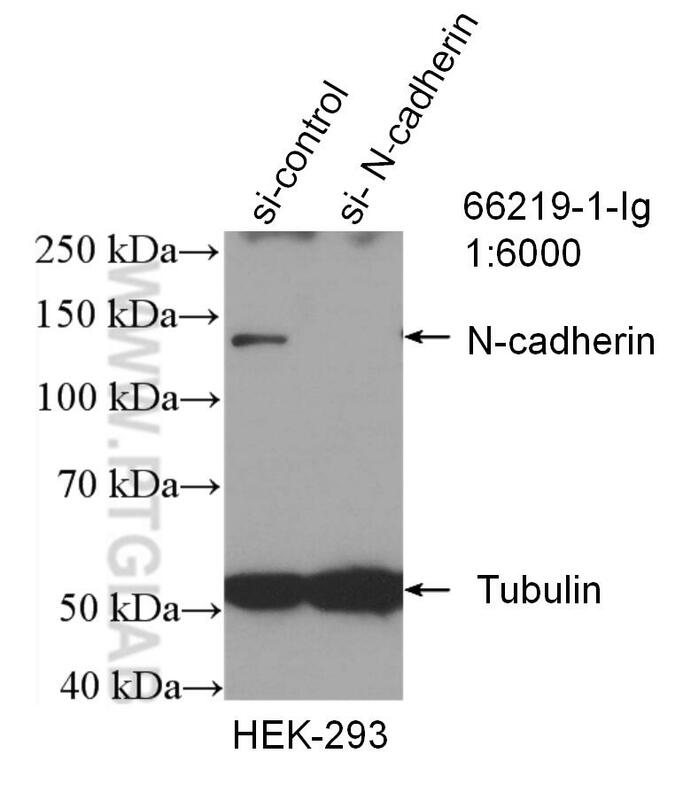 N-cadherin (neural cadherin), also known as CDH2 (cadherin 2), is a 130-kDa transmembrane protein and a classical member of the cadherin superfamily which also include E-, P-, R-, and B-cadherins. 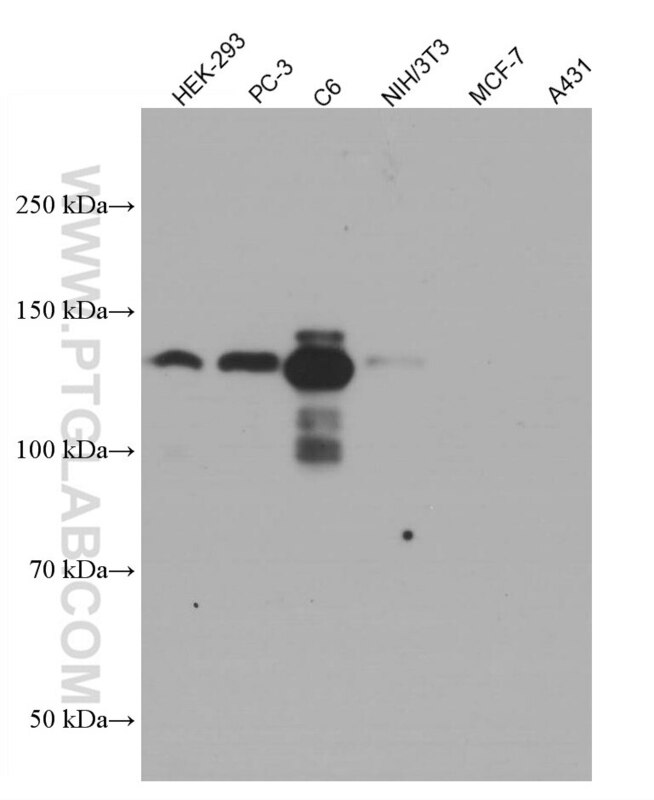 Expression of N-cadherin has been reported on various cell types including neurons, endothelial cells and cardiac myocytes (PMID: 11282032; 9508779; 8125202). 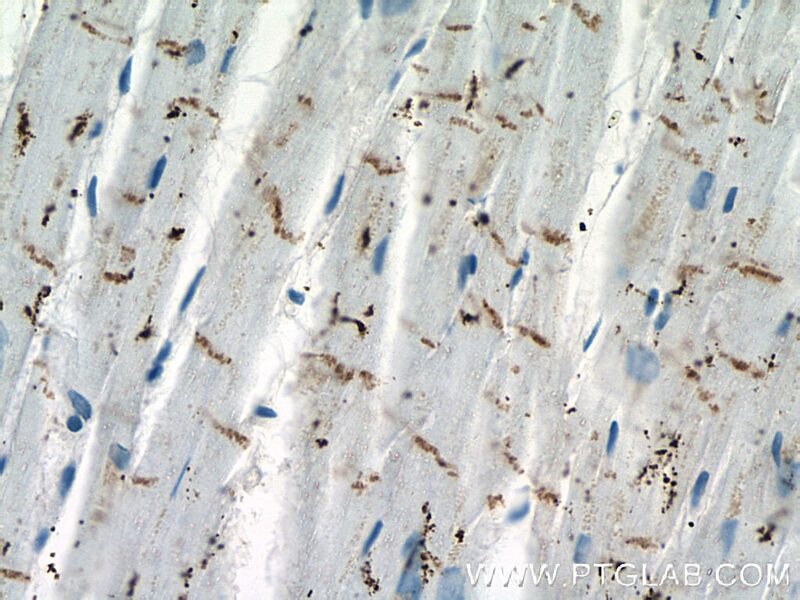 N-cadherin has functions in early brain morphogenesis, synaptogenesis and synaptic plasticity (PMID: 23321619). Loss of Lysyl Oxidase-like 3 Attenuates Embryonic Lung Development in Mice. 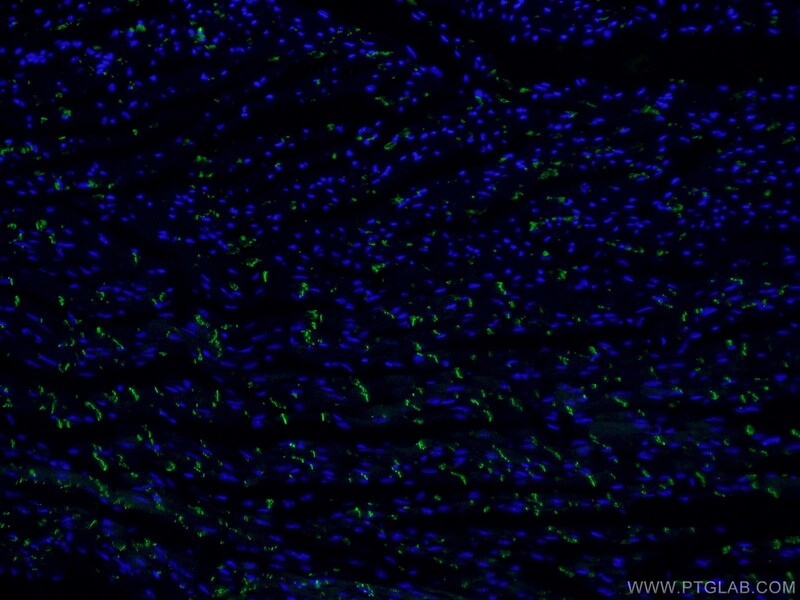 SphK1 modulates cell migration and EMT-related marker expression by regulating the expression of p-FAK in colorectal cancer cells. Sinomenine hydrochloride attenuates the proliferation, migration, invasiveness, angiogenesis and epithelial-mesenchymal transition of clear-cell renal cell carcinoma cells via targeting Smad in vitro. Krüppel-like Factor 4 Suppresses Serine/Threonine Kinase 33 Activation and Metastasis of Gastric Cancer through Reversing Epithelial-Mesenchymal Transition.